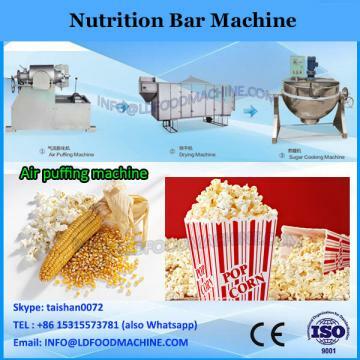 Stainless Steel Health Bar/Mini Cereal Bar Making Machine can produce all kinds of shapes of cereal bars with the raw material of rice, millet, wheat, highland barley, fagopyrum tataricm Gaertn, maize, broomcorn, Chinese pearl barley, buckwheat, etc. 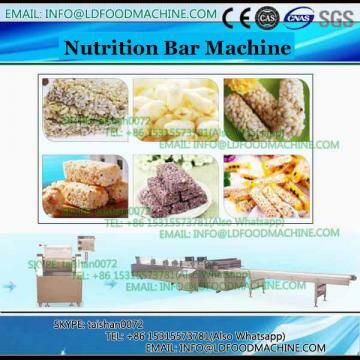 Stainless Steel Health Bar/Mini Cereal Bar Making Machine is the use of rice flour, flour and other kinds of grain flour as raw materials to add some vitamins, trace elements and other high-nutrition ingredients mixed uniformly after extrusion curing and then for nutrition to strengthen the rice, after drying, shape, appearance taste edible method and natural The rice is consistent and supplements the lack of nutrients in natural rice. can also customize special rice with different functions according to different groups of people. Jinan Joysun Machinery Co., Ltd. has single screw rice extruder and twin screw extruder. can be freely matched according to the requirements! 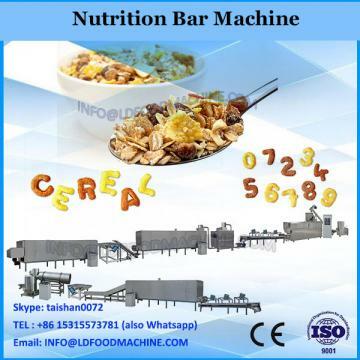 Stainless Steel Health Bar/Mini Cereal Bar Making Machine technology is a breakthrough in the recycling of grain using the principle of extrusion. The most important feature of technology is the addition of various nutrients essential to the human body to food, producing a variety of health foods, curative foods and functional foods. The products are easy to eat and easy to use. Digestion and absorption, welcomed by consumers. Artificial rice alias nutrition rice, gold rice.